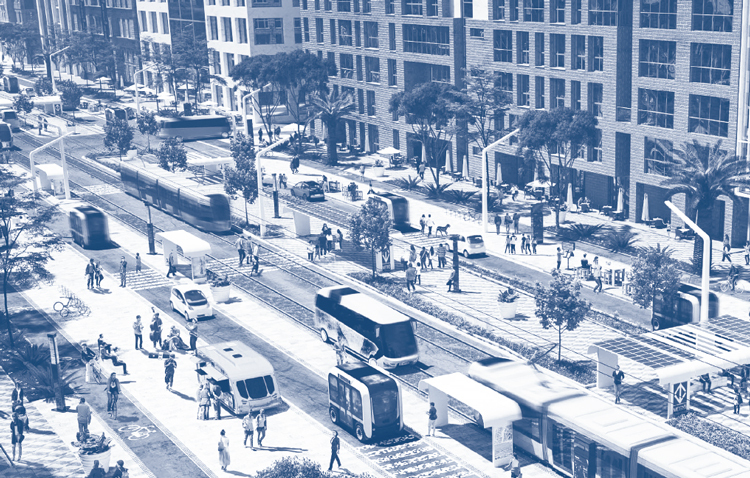 Los Angeles — The Los Angeles Department of Transportation (LADOT) announced the availability of the Urban Mobility in a Digital Age Strategic Implementation Plan (SIP; https://static1.squarespace.com/static/57c864609f74567457be9b71/t/5b20690e03ce64a2ff059e3e/1528850725385/LADOT_SIP_06122018.pdf), and the appointment of Ellis & Associates, and its affiliated partners CityFi, CCgroup, and Lantern Consulting, as the LADOT Product Manager to reposition LADOT as an active partner in the arrival of autonomous vehicles and ongoing explosion of technology in transportation. Los Angeles is in the midst of a mobility revolution that will continue its global reputation of how city transportation should evolve. Guided by the city’s Urban Mobility in a Digital Age strategy, plans are focused on unprecedented investment in new transportation choices and supporting technologies. This includes the development and deployment of actively managed electric, shared, and autonomous mobility options, including concepts such as dockless bike sharing and air taxis. All new modes of transport are aimed at tackling congestion, enabling economic development, driving racial and socioeconomic equality, and saving lives. The Strategic Implementation Plan is a set of products and services that LADOT deems necessary to ensure that as autonomous fleets arrive in the sky and on the ground, they are first and foremost safe. Just as LADOT created one of the largest most sophisticated traffic management centers for the 1984 Summer Olympic Games, the Strategic Implementation Plan aims to set the city on a course to manage the streets of the future in 2028.